Are you wondering how to get a pardon in Ontario? We all make mistakes. However, we grow over our mistakes; we accept the consequences, bear with them and come out as a better person. Some mistakes may lead to a criminal offense. These mistakes are the ones that stay with you forever with consequences that make it impossible to ignore. However, you can still put criminal convictions behind your back by putting into place a Record Suspension (formerly referred to as ‘Pardon’). Don’t worry if you aren’t aware of Canadian pardon services and the terminologies relating to the same; in this article, we’ll be covering this topic in depth. A Record Suspension or pardon allows people to have their criminal records kept separate and apart from other criminal records, provided they have completed the necessary eligibility requirements. A Record Suspension removes a person records from the Canadian Police Information Centre (CPIC) database. A Record Suspension is very important in order for people to have a fresh start and continue through life as if they have never had a problem with the Police before. Here’s another important takeaway: Under the Criminal Records Act (R.S.C., 1985, c. C-47), the Parole Board of Canada (PBC) holds the authority to order a Record Suspension for the convictions mentioned either under the Federal Acts or Regulations of Canada. Why is Getting a Canadian Pardon Important? If a person is convicted of a criminal offense in Ontario, Canada, his or her name is tied to the RCMP’s national database; any name in this database is exposed to background checks unless a record suspension is granted. 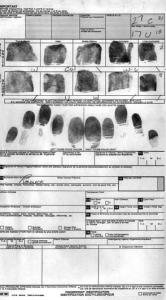 Whether a person is convicted of one or multiple crimes, his fingerprints, police files and other details remain in the system. As stated above, this can lead to a higher risk of discrimination in several areas. 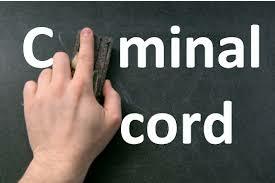 A Record Suspension is important for it allows a person to seal the criminal record associated with their name. Therefore, that person can proceed through life as if they have never had a criminal record in the first place. Who can Apply for a Record Suspension? A person can also apply for a Record Suspension if he’s committed a crime in another country, but it’s only possible if the same person was transferred to Canada under the Transfer of Offenders Act or International Transfer of Offenders Act. However, there are certain eligibility requirements that one must meet before applying for a Pardon in Canada. A Schedule 1 Offense under the Criminal Records Act; In particular, a person convicted of a sexual offense involving a child is no longer eligible to file a Canadian pardon. Unless the conviction was before March 2012. Anyone who is prosecuted with or more than three offenses, each with a prison sentence of two years or more is also not eligible to file a Canadian pardon. Depending upon the conviction and sentence, a person might be asked to submit additional documents, including but not limited to the Court Information, Proof of Conviction, Military Conduct Sheet, and Immigration Documents. 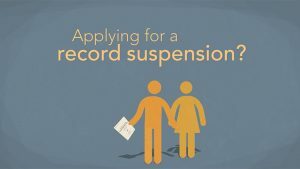 When Can a Person Apply For Record Suspension? A person is eligible to apply for a Canadian Pardon only if he/she has completed all the sentences followed by the waiting period. He should have paid all the fines, surcharges and the costs associated with restitution and compensation orders. He must have served all the sentences of imprisonment, followed by all the conditional sentence orders, including parole or statutory release. He is ought to complete any probation order(s). A period of greater than or equal to 5 years in case of “Summary Offense”. A period of greater than or equal to 10 years in case of “Indictable Offense”. 5 years of Summary conviction under the Criminal Code (excluding the offense listed either in Schedule 1 of the C.R.A or the Federal Act. 5 years from the date of the Summary conviction being satisfied. 10 year of Indictable conviction (excluding the offense listed under the Schedule 1 of the C.R.A). 10 years from the date of the indictable offense being satisfied (s 725 C.C). Both 5 and 10 years for all convictions by a Canadian offender, who had been transferred to Canada under the Transfer of Offenders Act or International Transfer of Offenders Act. How Long Does It Take To File A Record Suspension In Ontario? Prior to submitting your Record Suspension application to the Parole Board of Canada, it can take up to 4 to 6 months just in the preparation of the application and obtain the supporting documents. The preparation time depends on several factors, including how quickly RCMP processes a person’s fingerprints, how quickly backlogs of local police and courthouse(s) are collected, and whether or not the criminal record matches the court documents. Applications with summary offenses are processed within 6 months of the application acceptance. 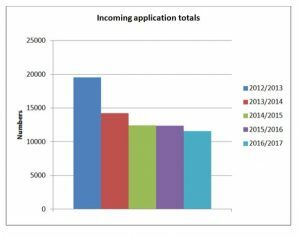 Applications with indictment offenses are processed within 12 months of application acceptance. 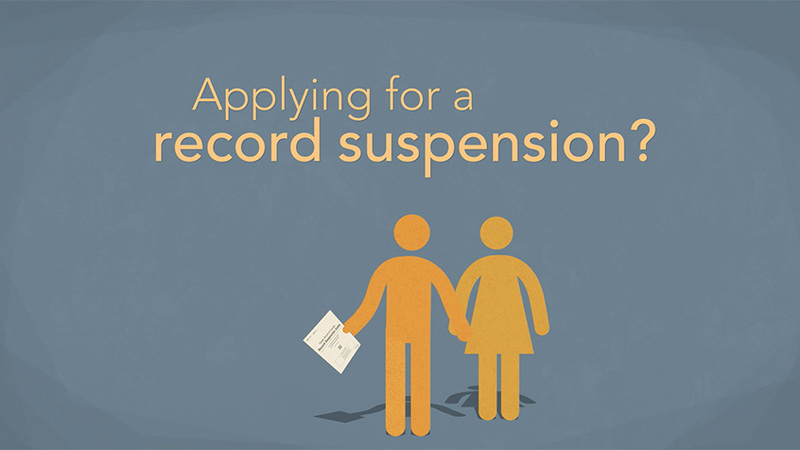 How Much Does It Cost To Apply For A Record Suspension? It costs $631 to file a Record Suspension in Ontario, Canada. But that’s just the application cost. A person filing a pardon has to bear several other expenses, including but not limited to criminal records, local police records and checks, court documents and immigration records. The Canadian government has steadily increased the Pardon application fee. What was once $50 was later hiked to $150 and then quadrupled to $631 in 2012. We are currently fighting the increase in fee’s as we do not believe the Record Suspension (Pardon) is only for the rich. We have developed comprehensive payment plans that allow anybody living on a low or fixed income to afford the privilege of having their criminal record sealed. Does Record Suspension Allow Entry In The US? A convicted person who has been granted a Record Suspension will still need a US Entry Waiver to travel to the United States. What is a travel waiver? It’s a document issued by the country a person wants to travel, allowing him to enter even if he does not meet the entry requirements. Having said that, the US prohibits the entry of people who have been convicted of several crimes. The list of crimes along with application forms and instructions can be found on the official website of US Citizenship and Immigration. A US Entry Waiver is issued by the US Custom and Border Protection, an agency of the Department of Homeland Security. A Record Suspension doesn’t erase a record, it basically removes it from the RCMP’s database and seals it in another database. The only way anyone can access the new database is with the permission of the Ministry of Public Safety. The United States of America does not recognize Canadian Pardons. If you’re planning to travel to the US, you might have to apply for a US Entry Waiver. This only applies if you have been previously refused entry into the United States, if not, once the Record Suspension is put into place you will have no problems travelling into the U.S.
A Record Suspension can be revoked if a person commits a crime again; for the criminal convictions are not erased. They record is stored in another database which is separate from the main database. The RCMP can restore the old records if the same person is charged with another crime in the future. Where To Get Help With Pardons In Ontario? At Canadian Pardon Application Services, our experts specialize in helping Canadians to seal their public record of criminal offenses, so they can lead a normal life without any unnecessary interruptions. For further information, please contact us here. Can a Criminal Record Removal Guarantee Job? Call Us At 1-888-853-8189 Or Request A Free Consultation Below. Copyright 2019 © Canadian Pardon Application Services.